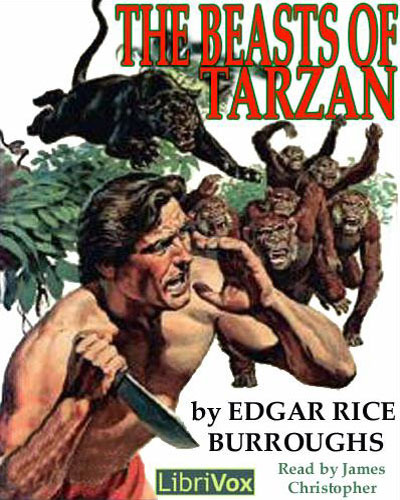 The Beasts of Tarzan is the third of Burrough’s Tarzan novels. Don’t start with this book, go back to the original (also done up by LibriVox). First published in serial for in All-Story Cavalier Magazine in 1914, it was bound into hardback paperbook in 1916. LibriVox is also working on the 2nd novel in the Tarzan series, but it’s not yet cataloged. This is the third of Burrough’s Tarzan novels. Originally serialized in All-Story Cavalier magazine in 1914, the novel was first published in book form by A. C. McClurg in 1916. In the previous novel Tarzan reclaimed his name and title as John Clayton, Lord Greystoke. In this novel he finds that proper society is just as vicious as the jungle when greedy men threaten him and his new family. Jane and her infant son Jack are kidnapped by Tarzan’s enemies, Nikolas Rokoff and Alexis Paulvitch, who then trap Tarzan himself and attempt to exile him forever on a primitive island, bereft of all those dear to him. There, however, Tarzan gains new allies in the panther Sheeta and the ape Akut, together with Akut’s band. 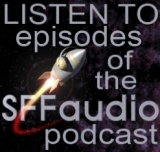 With their aid he tracks down his wife and son. . .and his arch enemies Rokoff and Paulvitch.